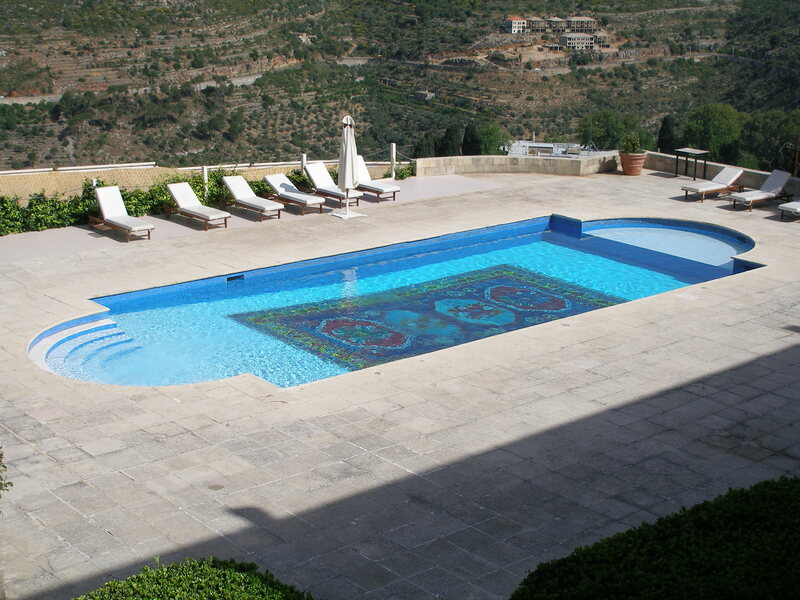 High in the Druze mountains of the Lebanese Chouf sits the magnificent palace of Beiteddine, where the Beiteddine Festival 2013 is currently in full swing. It is just a 40 minute drive south from Beirut, and people will be flocking out to see the Chinese National Acrobatic Circus performing over the next few days. Later fixtures include ‘Echoes from Syria’ with clarinette virtuoso. Echoes from Syria resonate here in more ways than one. 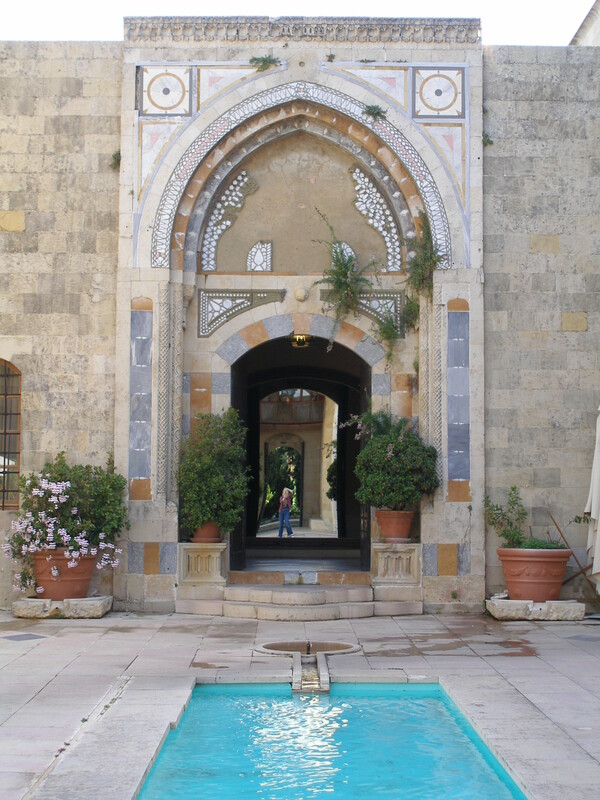 For a start the palace itself is like Damascus’s superb Azem Palace, dating from the same period, and composed likewise of its three courtyards – the largest public one for receiving guests, the inner private one for the women, always the most lavishly decorated, and the smaller servants courtyard. Today they are both museums open to the public, and in their heydays they were both residences for the ruler. Built between 1788 and 1818 with the help of Damascus craftsmen, the Emir Bashir ‘the Great’, lived here till his death in 1840. Born a Sunni Muslim, he later converted to Maronite Christianity, and his palace boasts both a mosque and a chapel. Beiteddine is a peaceful spot with beautiful, immaculately kept gardens and distant views of the sea, a spot that encourages lingering. 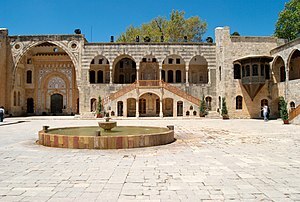 When I was here the other week in a quiet patch before the Festival, we were almost the only guests in the Mir Amin Palace, a mini-version of Beiteddine built by Emir Bashir for one of his sons. Admiring the quality of the restoration work, a subject dear to my heart after my experiences with my own Damascus ‘mini-palace’, my eye was caught by a series of plaques on the wall. The first announced that the President of the Republic Charles Helou undertook the restoration in 1969, and the second that the hotel was opened 21 July 1974 by Suleyman Franjieh – just months before the start of Lebanon’s civil war. What terrible timing. The last plaque announced the re-restoration and re-opening of the palace in July 1987 under the auspices of the Minister of Tourism, one Walid Junblat. Bad timing again, as the war did not end till 1990. The Lebanese are nothing if not resilient – more echoes of Syria, I hope.